It was the last day of my English course. I didn’t have a final exam, but I went through a long questionnaire, like I did on my first day. The results confirm my English evolution! According to the teacher, I uploaded two levels if we consider this blog category about my English course in Birmingham, which I had been writing down off hours. Learning English for five hours a day and writing some ideas on this blog every day it proved to be very convenient for my English learning. The intensity and customisation of the course was guaranteed by the program “Live and Learn“, which was found by my wife Isabel. The dedication and patience of my personal teacher Steph it was the clue. I think driving on the left hand side, drinking Burton craft beer with good friends and enjoying these pleasant summer temperatures here have done the rest. We had an special activity every day in my English course. 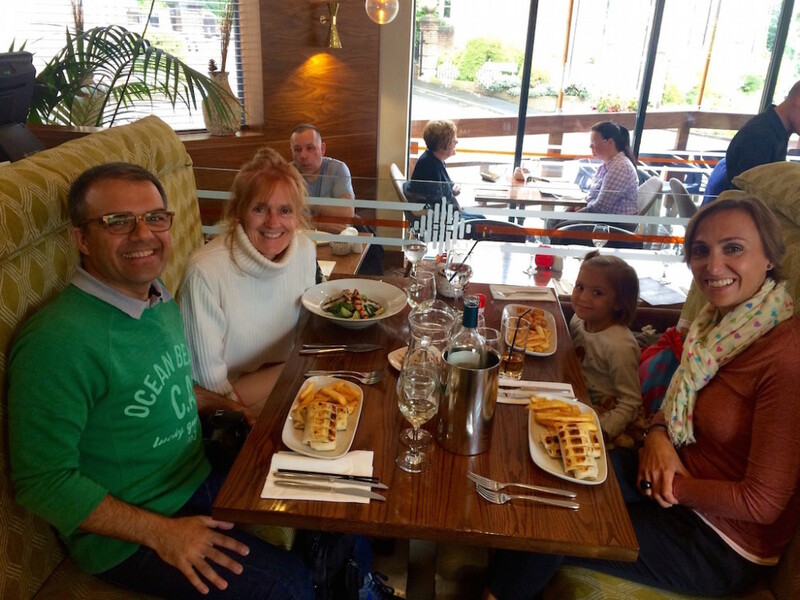 For the last day, we had a farewell lunch with my family and my teacher at Cambaz Bar & Grill, a Mediterranean restaurant in Sutton Coldfield near Birmingham. But it isn’t our last day in England. To check out different English accents we have a few days to visit some friends near Cambridge. And the course doesn’t really end there. We’ll meet for a Skype chat every Friday until I find a new English course in Barcelona. This is the challenge, to link the course and never stop. Come on! It was lovely to meet you Francesc and I really enjoyed reading your account of your ‘Live and Learn Homestays’ experience. I hope that you and your family return to Birmingham soon!